Movie producer Darin Read, of Dread Films, understood the importance of promoting his latest movie online. 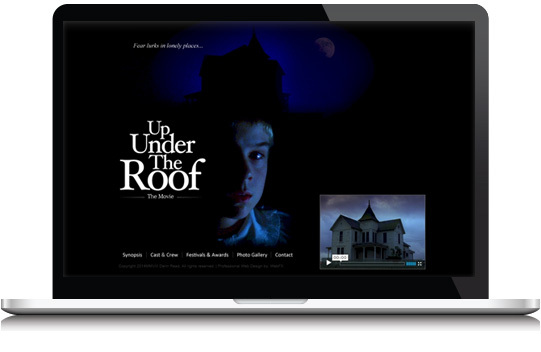 He chose WebX360 to build a website to help promote “Up Under The Roof”. The movie is about lonely ten-year-old boy who hears strange noises above his bedroom ceiling at night. The boy later comes to understand that he must face this thing hiding up under the roof before it consumes him. WebX360 delivered a custom website design and integrated of a video of the movie trailer.